Internships are an important part of your education program. They not only give you practical knowledge and experience but also helps you to make your resume attractive. Internships are extremely beneficial for networking. In today’s competitive job market, networking is very critical as a strong & diverse network can help to establish acquaintances and relationships to advance your professional career. Finally, an international internship experience will also give you an edge while looking for Graduate Admissions (MS, MBA & PhD) at the top universities abroad. In this article, we will discuss how to find internships abroad. 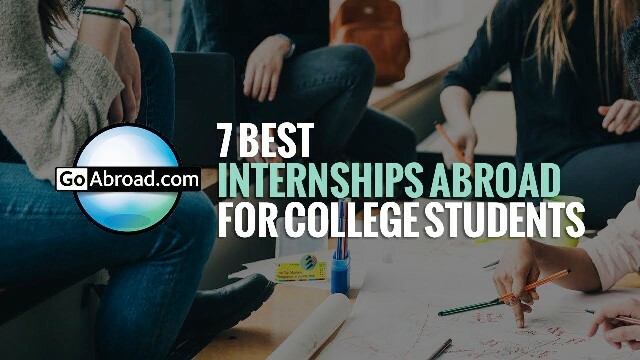 Additionally, we will also look at the top international internships for college students. 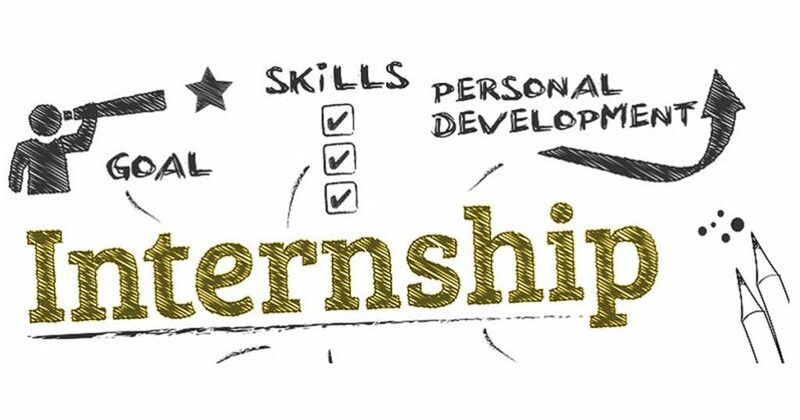 No doubt, internships are a proven way to gain relevant knowledge, skills, and experience while establishing important connections in the field. Internships are also a way to get your feet wet and find out if a specific field is something you could see yourself doing full-time. 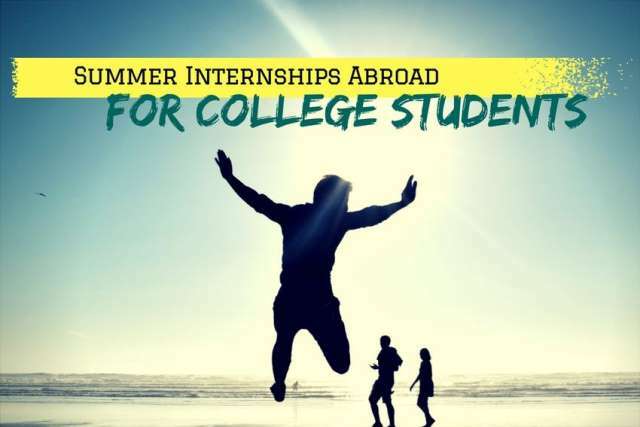 Now, how about doing an internship abroad? If you want to compete in the global economy, especially in a melting pot like India, you’ve got to hit the road. You need to learn the regional ropes by studying or working abroad because every employer (or business) is banking on international sales to fuel their future. 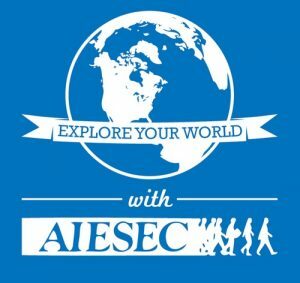 How to Find Internships Abroad? You have to realize that even getting internships is also very competitive. 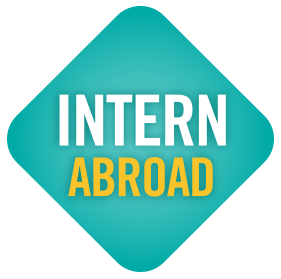 Quite often, students see internships in a foreign country as a way to travel abroad. Well, travelling to a new country is not a bad thing at all. But, your primary goal should be global skills development. Otherwise, consider holidays & vacations abroad. Remember, applying to positions randomly won’t take you anywhere. You need to justify how your profile is suitable for the organization. More importantly, you need to convince the organization how the internship will help you with your career goals. You need to build a good profile, do a lot of research, reach out & connect with people (online & in-person), demonstrate solid motivation, and apply to the relevant internships. 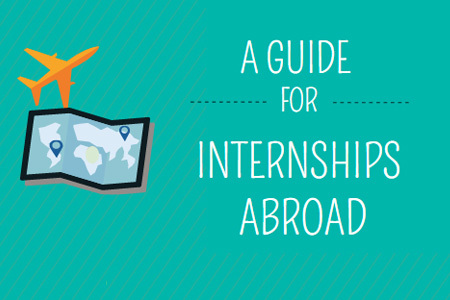 Where to Look for Finding Internships Abroad? Getting into a top-notch company is not a tough task in today’s world. There are many opportunities around, for the students to make a career in the international companies. Irrespective to the discipline, every industry is now, encouraging the young minds to join the board. From MNC to SME, every company is opening their doors for the young and talented aspirants who can work with the team and provide an output which isn’t discovered by the company yet. Although, please be advised that SMEs might not have the resources to hire foreign interns unless you have a unique and niche profile. 1. If you’re interested in politics, international relations, diplomacy, or international development, explore the countries such as Belgium, Germany, France, and Switzerland. 2. Fashion and design students should consider interning in major European design capitals such as Milan, Berlin, Paris, Barcelona, and Copenhagen. 3. For opportunities within the hospitality & tourism industry, explore resorts, hostels or hotels, and as guides or administrative staff in tour companies in Barcelona, Paris, Stockholm, Milan, and Berlin, among other cities. You could also check out hostels, hotels, restaurants, cafés, and tour companies in countries like Thailand, Indonesia, the Philippines, Australia, and New Zealand. 4. Interns interested in humanitarian work, NGOs, community development, health and welfare, education, and small business development will find a great number of opportunities in Tanzania, Uganda, Rwanda, and Ghana. 5. If you are interested in environmental, marine, and wildlife conservation, and eco-tourism, look for internships in Seychelles, Madagascar, and South Africa. 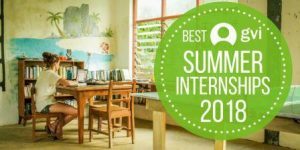 Interns who are adventurers & outdoor enthusiasts, you can also find opportunities in countries such as Brazil, Chile, & Peru in South America, and Australia, New Zealand, and islands such as Fiji in Oceania. majority of these internships are seasonal in nature. 6. If you want to intern in the fields of business, finance, marketing, retail, and technology and startups, look at the companies in Tokyo, Singapore, Seoul, Manila, and Beijing. For marketing (including digital marketing), you should also explore Singapore, London, and Dublin. 7. For intern opportunities in agricultural research and innovation, consider Ecuador, Argentina, Chile, and Colombia. In case you are into biology, biotechnology, biomedical research and life sciences, explore universities and research institutes in Germany, Spain, Switzerland, France, Japan, China, Taiwan, and the USA. 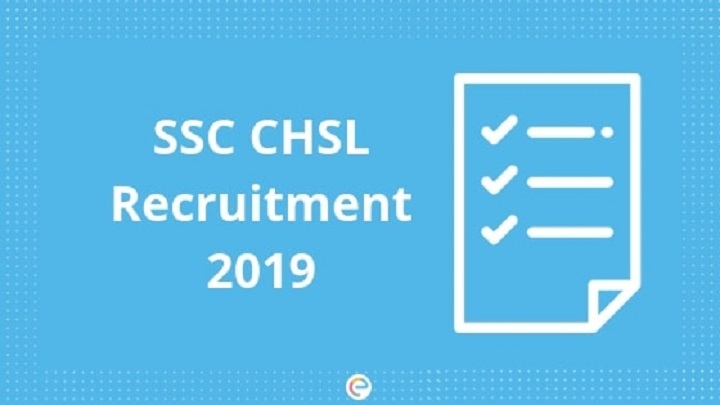 To join the top company, students have to go through a small process of recruitment so that they could be recognized and appraised accordingly. The procedure of joining as an intern varies from company to company but the main aim of all the companies are the same i.e to work with the best minds. You’d have to provide a copy of your resume, a letter of motivation, references, attend a personal interview, and demonstrate that your skills and qualification are a good fit for the internship. Tailor your resume to the country you’re applying to and include all the information that is usually provided, even if it seems more detailed than your usual application. If required, opt for professional CV/resume services. Spend quality time to do research about the organization and about the work/business. Connect with the key people on LinkedIn. Try to list previous volunteer work, internships or projects. Knowledge of foreign languages will be very valuable when looking for internships abroad. Focus on demonstrating that you’re right for the role and how this internship will help your long-term career goal. More often than not, you would be asked to appear for a Skype interview or a video call. Prepare and dress for it as you would for an in-person interview. Make sure you have a strong Internet connection and test your devices (including earphone or headphone) before the call. Even if you have the best smartphone on the market, appear for the interview using a laptop or desktop only. Last but not the least, make a note of time zone differences so that you come online for the interview at the right time. Now, we will look at the top companies and organizations that offer internships abroad for college students. JP Morgan offers internships for Technical Analyst, Markets Analyst and Banking Analyst roles. JP Morgan hires new candidates, to work on the invention and innovation of the new software of the company. The company aims in training the candidates with advanced technical aspects of the programs which help them in dealing with the complex problem in real time. Candidates have to apply from the official portal of JP Morgan to get shortlisted or appointed as an intern. Interns will have the chance of meeting experts, attend conferences, conduct research, and understanding the market to sell the products. If you’re interested in a financial market then joining Goldman Sachs as an intern will be the best choice. Goldman Sachs is an international company which have its presence in multiple locations like India, Japan, Australia, New Zealand, and across Europe, the Middle East, and Africa. Goldman Sachs provides a summer internship for the students who are looking forward to becoming a financial analyst or market analyst. Goldman Sachs had released a website where the students can find the details regarding the internships and career roles. Getting an offer from Microsoft is a bit lengthy process but the experience gained at Microsoft helps a student throughout the career. Microsoft offers 3-4 months of paid internships to students from technical, Business and computers background. 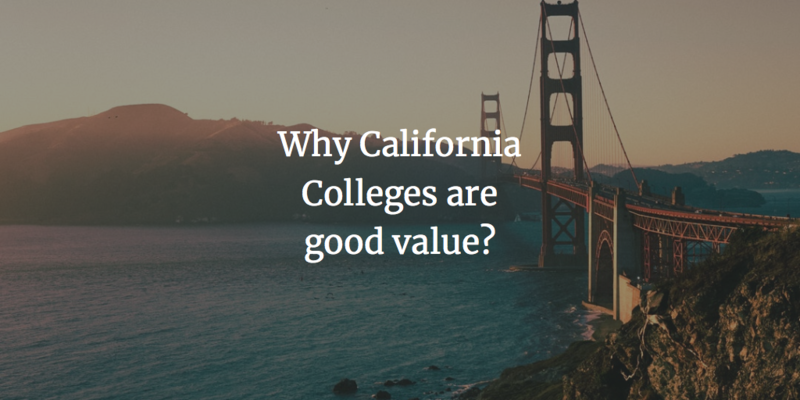 Students are hired on the basis of their performance in the recruiting process. Microsoft provides a paid internship to selected candidates, where they give a chance to work and gain life experience in different countries. Details regarding the internships are posted regularly on its official website. Google internships aim to improve the skill sets of the aspirants and grow its network in the fields like Finance, Marketing, Communication, Business Strategy, People Operations, and Account Management etc. Interns are hired and appointed to new projects where they are paid on the basis of their performance. MBA graduates and Software Engineers are given an opportunity to join Google as a part of the summer internship. The cycle of summer internships goes on in Google as Google lookup for aspirants who are excellent at their work. Interns have a chance to enrol themselves in any countries like Aarhus, Denmark, Warsaw, Poland, Stockholm, Sweden, Munich, Germany, Paris, France, Zützerland, India and many other countries so that students will have more chances to explore the work process of Google. Aspirants can check out the details regarding the internships on their official website. Nestle offers 3 months paid internship in the sales industry. Postgraduate students are hired as an intern and based on the performance they will be directly appointed to the full-time roles. Aspirants will have a chance to learn more about Nestle products, it’s competitors and sales. The entire intern team will focus more on the significant projects where they can learn and understand the present and future business needs. All the career opportunities are available in the official portal of nestle. The University of Southern California offers a summer internship for graduates and Undergraduates students all across the world. 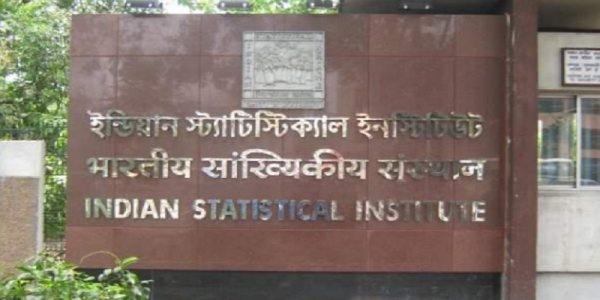 Interns are hired for the fields like Natural language processing, machine learning, statistical modelling, machine translation etc. It is a paid internship where the students are hired and paid on the basis of their performance in the intern period. This internship is opened for everyone all around the world and the application of the internship will be available in the official portal. The University of Lausanne offers School of Biology Summer Undergraduate Research Program to students who have completed the third or fourth year of their university degree in the biological or medical field. UNIL research program can be taken at the University of Lausanne and fields can be availed for Applicants are any biological or medical field for a period of 1-3 months. Applicants are paid for accommodation, CHF 1500 towards living costs and up to CHF 500 to CHF 1200 for travel. HEC Lausanne gives an opportunity for the students to work as an intern for 2 months. Students have to get enrol themselves in joining an intern program. Selected students will get an assist from the professors for the entire intern period. Such assisting programs help the student to learn in-depth regarding the subject practically and theoretically. The internship which is offered by the HEC Lausanne will be in the form of an agreement which builds up the seriousness in the work. Most of the World Bank positions are in Washington DC, it gives a chance to the aspirants to move to Washington DC as a part of an internship. Internships are offered to the aspirants who are from the background of economics, finance, human development, social science, agriculture, environment, private sector development etc. World Bank provides an internship for a period of 1-3 months and the interns get a salary on an hourly basis. Every detail regarding the internships and career opportunities are posted regularly on the World Bank site. Vienna Summer programme is a special program where the 20 undergraduate students all around the world are hired to work with the leading research institute i.e Vienna Biocenter. It is a 3-month internship program where the interns focus on the fields like Molecular biology, neuroscience, immunology bioinformatics, RNA biology, stem cells, and biochemistry etc. 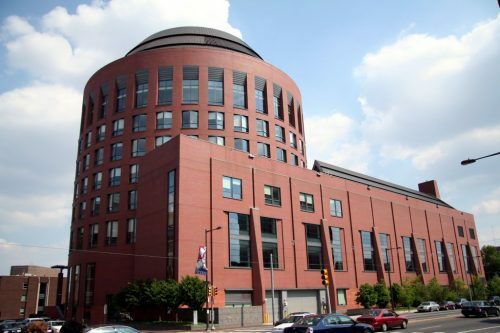 Students from the science background can apply here to get an offer as an intern. Selected applicants are provided with a stipend of €800/month which covers all the expenses of the applicant. EMBL gives an opportunity to undergraduate students from all disciplines like natural sciences extending from biology, chemistry, physics and mathematics to medicine, informatics and engineering to join as an intern and gain practical experience during the internship tenure. Interns who got selected will have a chance to work at EMBL Laboratories which are located in the countries like Germany, Italy, Spain, UK, France etc. EMBL put up its complete commitment in training the students of both undergraduate and graduate level. Students can enrol themselves in internships in EMBL site. Technically, it’s not really an internship and more of a summer school program. But, the courses are very unique and involves a great deal of practical curriculum. The ISS program has been running since 1947. Since then over 30 000 students from more than 150 countries have attended the summer program. Know more about ISS at the University of Oslo. Please be advised that students need to pay fees for participating in this program. Below is the list of top portals to find internships abroad.